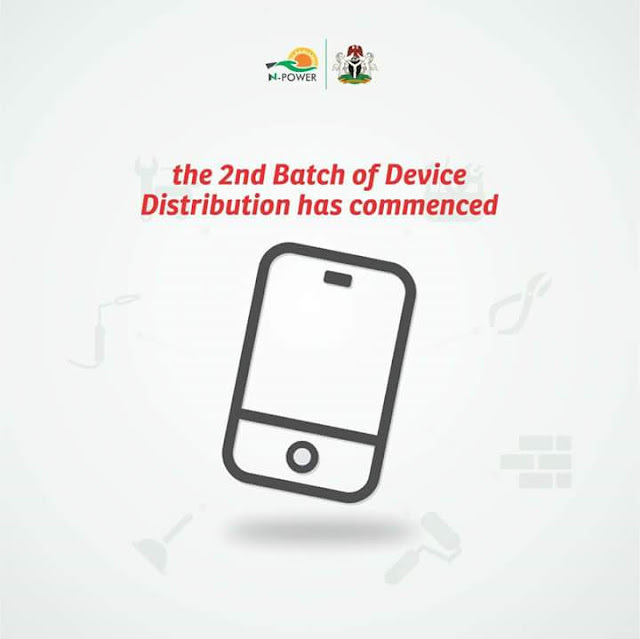 "The distribution of the 2nd batch of N-Power devices has commenced. It commenced in Lagos and will spread out to other states shortly. N-POWER 2017 pre-selected beneficiaries that did their physical verification late last year are still waiting for the final list. Npower team has warn the general public to disregard any information currently in circulation that final list for 2017 is already out.